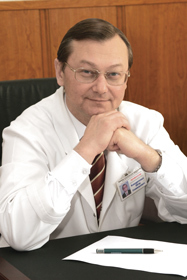 Ukrainian journal of surgery: About the edition | Интернет-издание "Новости медицины и фармации"
Honorary Scientist and Technician of Ukraine, MD, Professor of the Department of surgery, Donetsk national medical University, Krasny Liman. Registration Certificate КВ № 19629–9429ПР. Issued by the Ministry of Justice of Ukraine 11.01.2013. Presented in scientific and specialized databases RISC (Science Index), Google Scholar, Vernadsky National Library of Ukraine, International Committee of Medical Journal Editors (ICMJE), SHERPA/RoMEO, Bielefeld Academic Search Engine (BASE), General Impact Factor, Index Copernicus International, Naukova periodyka Ukrai'ny, CrossRef, Ulrichsweb Global Serials Directory, WorldCat, NLM-catalog.